MUTCD Information: R1-5bL sign is shown as a square white sign with a black border. 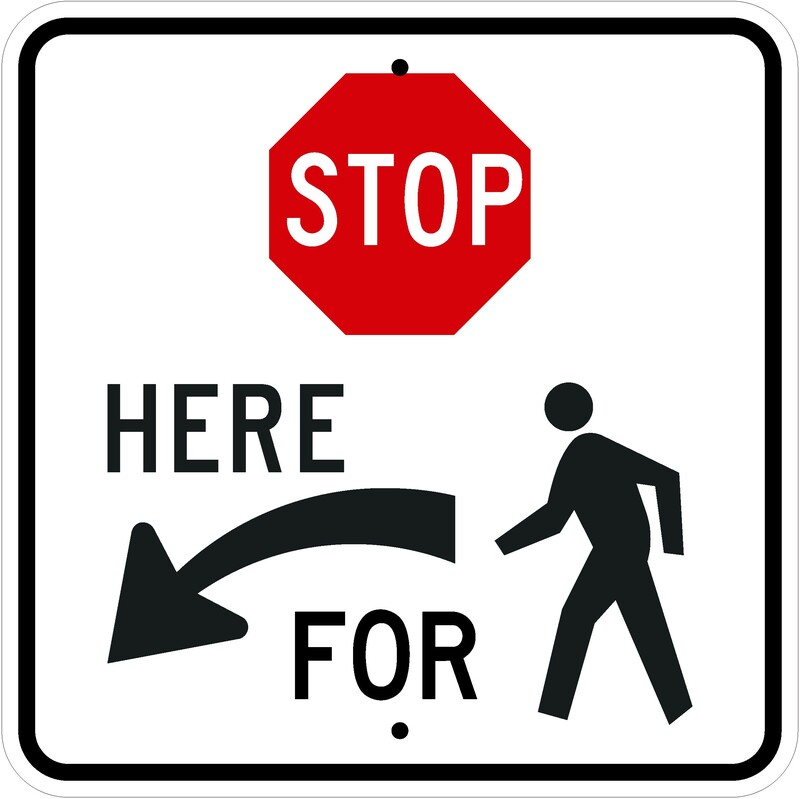 A STOP sign is shown above the word "HERE," which is above a horizontal black arrow curving down and to the left above the word "FOR." A black walking person symbol is shown to the right of the arrow.